Production has slowed of late. Life has its distractions, but some details are taking shape. One item here is actually new seat backs for our 2 SOF kayaks. This can be considered a prelim to this build’s back rest. A couple previous solutions didn’t deliver comfort, so we’ve cedar stripped a couple backs, glassed both sides and laminated 1″ Minicell foam on the seat side. 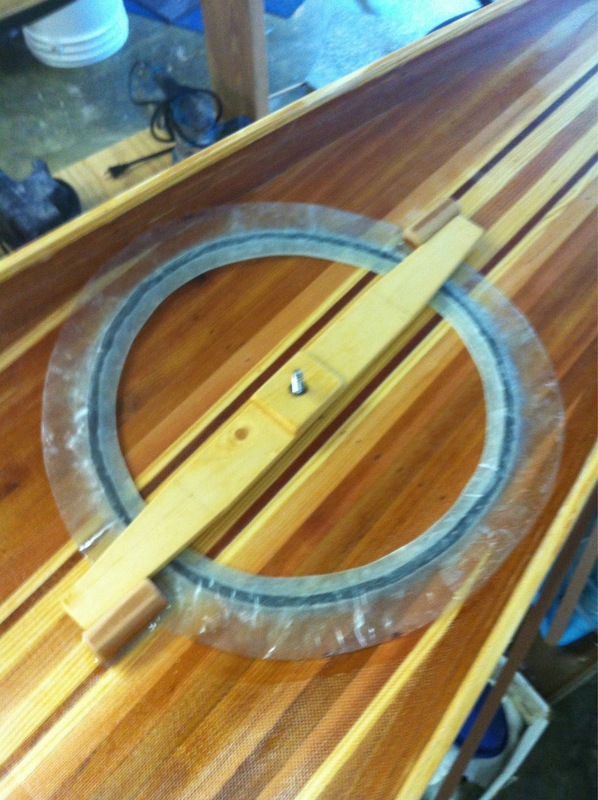 Slotted holes are on either end and fiberglass loops are on the back for boat installation. 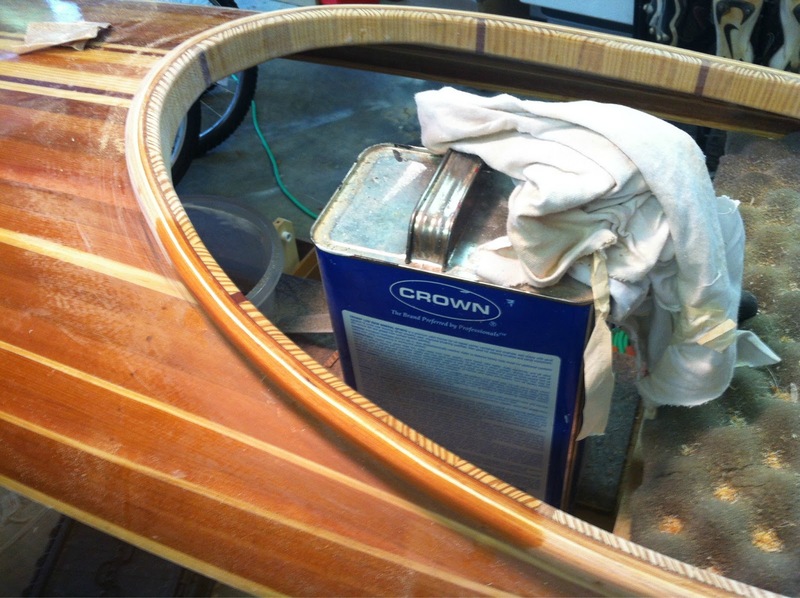 Varnishing still remains to be done, but you can get the gist here. Both back rests. One still on jig. The jig was traced from the rear of each cockpit with a 1″ offset. The rest of the construction was just like those forms defining the hull. Minicell back. 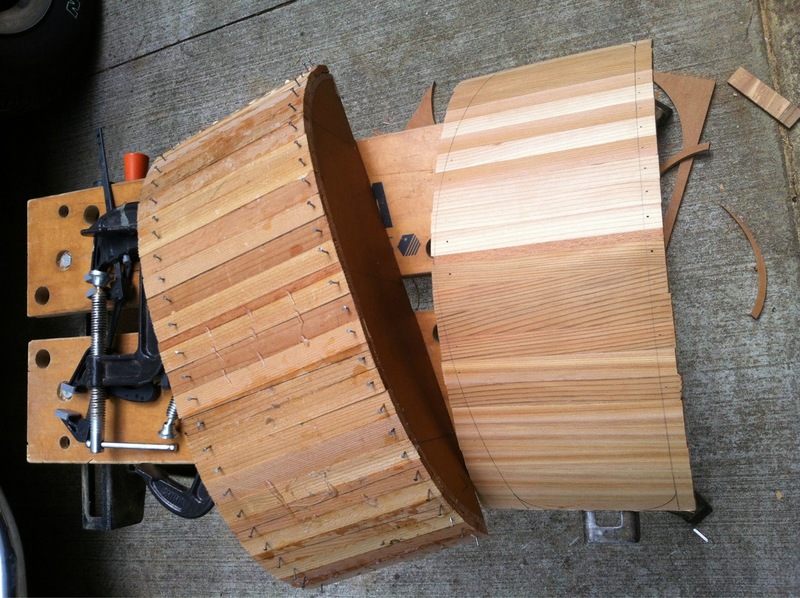 Indents of clamps will disappear. The loops will help hold the brace up and be adjustable to comfort. 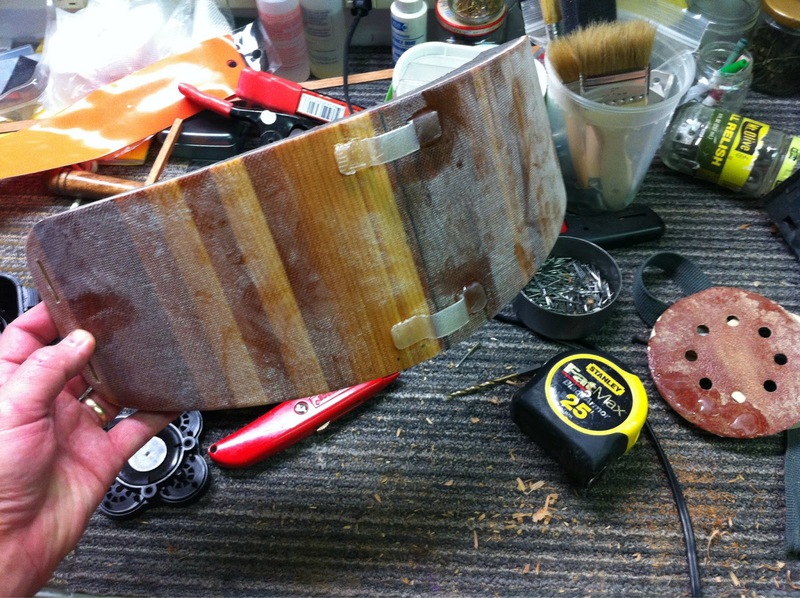 Rear strap loops made from fiberglass laminates. 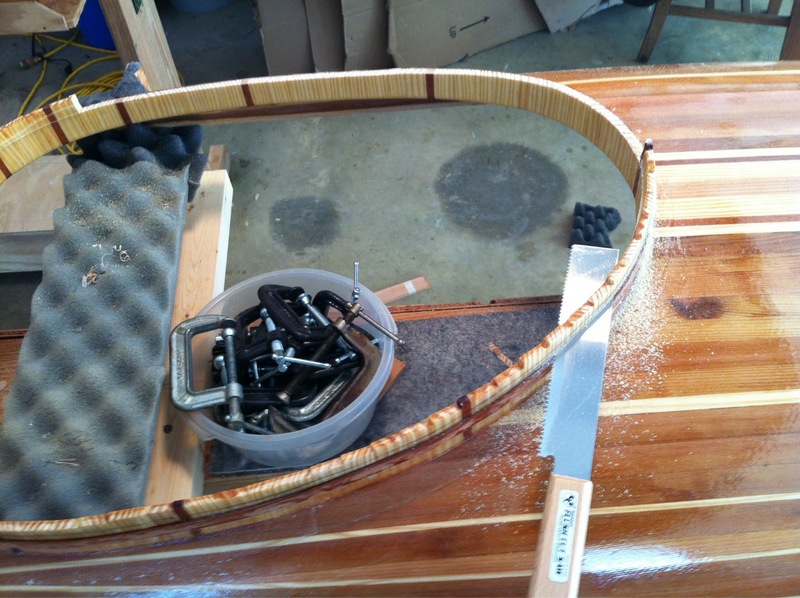 The cockpit rim was cut down to size and eight 1/16″ strips were laminated for an edge to attach spray skirt. 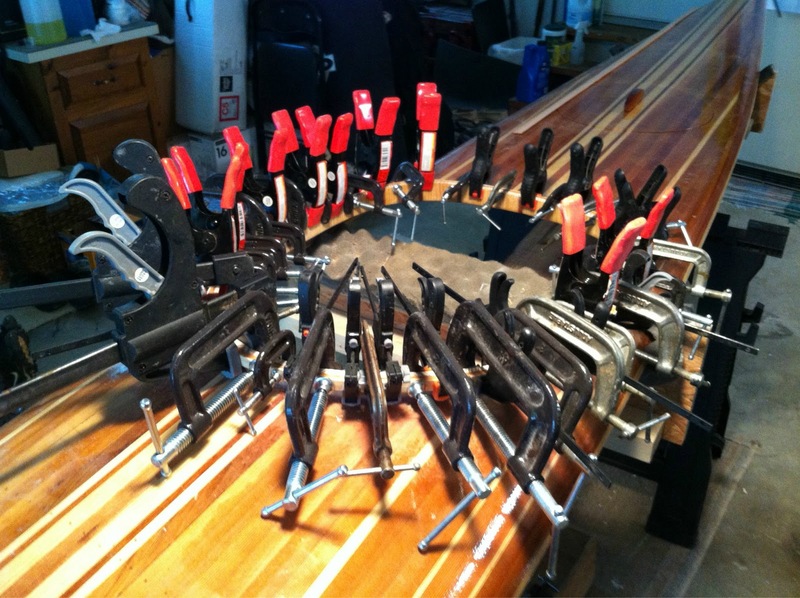 This required a few clamps. 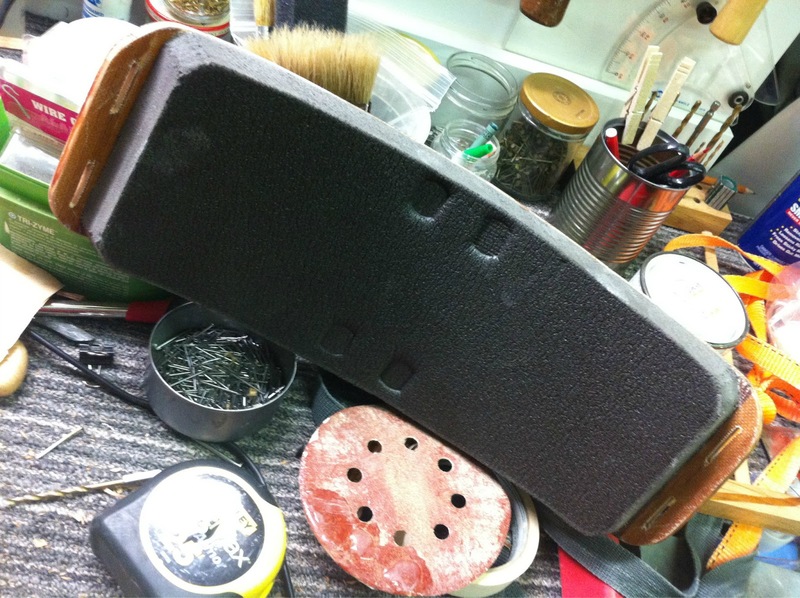 Once dry, filing, belt and hand sanding allowed for the proper shape. Glassing still remains to be done for durability. I added wooden stops to the underside of the hatches to prevent the “dogs” from spinning underneath. This arrangement is quite satisfactory and doesn’t clutter the storage area with shock cords. If anything, the on deck wing nuts could be reduced in size, but they are handy as is. 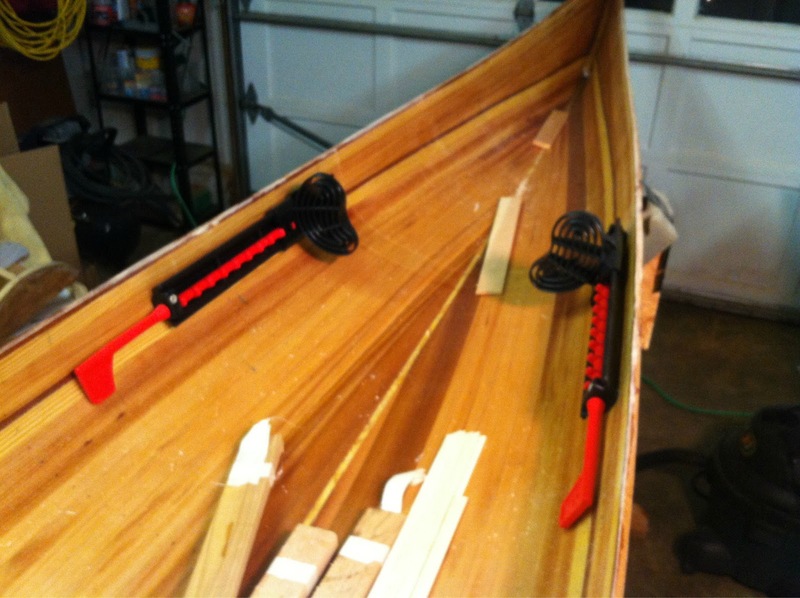 After quadruple checking of measurements, holes were made for the foot pegs. Finally, I’ve ordered some 3/16″ soft double braid line to try as deck lines. Should that fail, Latigo leather straps should fit the same holes to be drilled. Minicell foam may be too thick. We’ll see. Contact cement grabs quickly, so be precise.